Perfectly situated in the popular family commuinity of Keys of Marsh Harbor, this beautiful and spacious single family home is walking distance to the water park and a short ride to the beach! This spacious, one-level single family home in the Keys of Marsh Harbor has been updated for 2018! New flooring and artwork enhance the open floor plan of the living, dining, and family rooms. 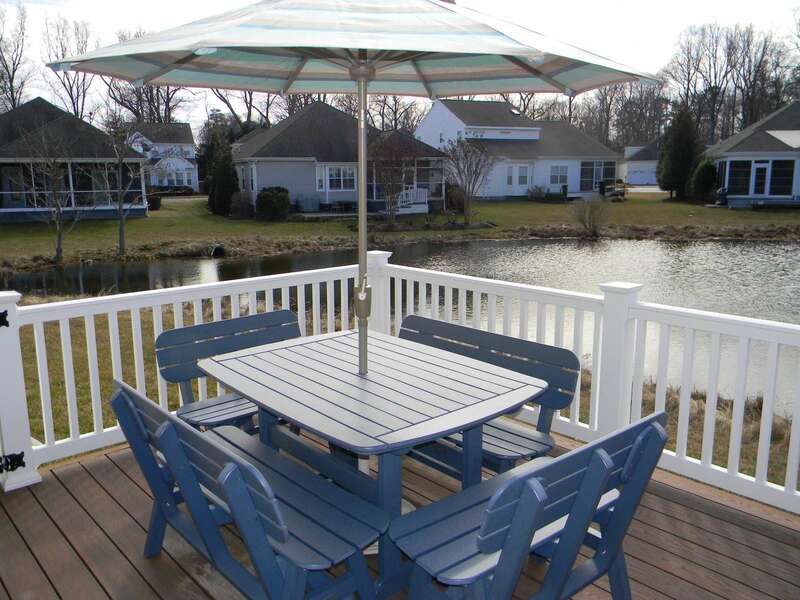 A cheery sunroom looks out to a deck with new patio furniture, a barbecue, and a pond with a water feature. 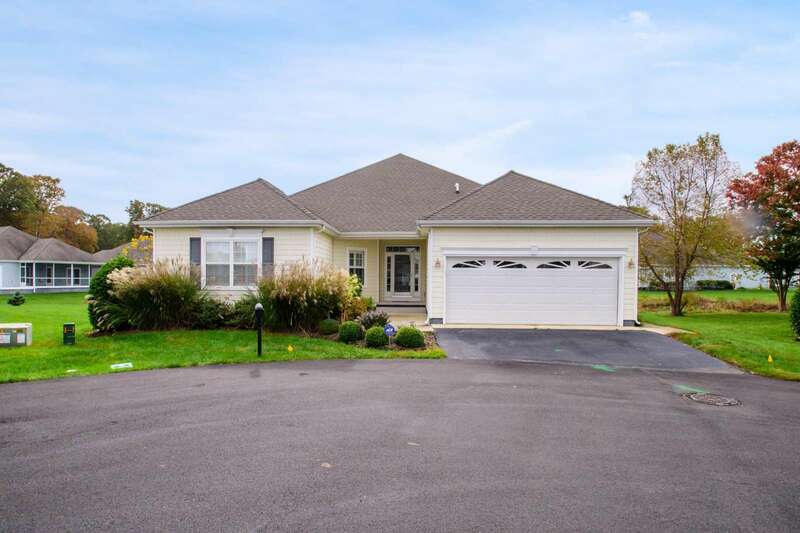 The three-bedroom, 2 ½ bath home features upgrades galore, including kitchen with granite counter tops and Kuerig coffee maker, laundry room with full-size washer and dryer, and high-definition TVs in the family room and all three bedrooms. In the garage you will find bicycles (with helmets) for five adults and two children, tennis racquets and balls, beach chairs and a cart to carry all of your stuff to the beach. We even include a parking permit for Rehoboth Beach! 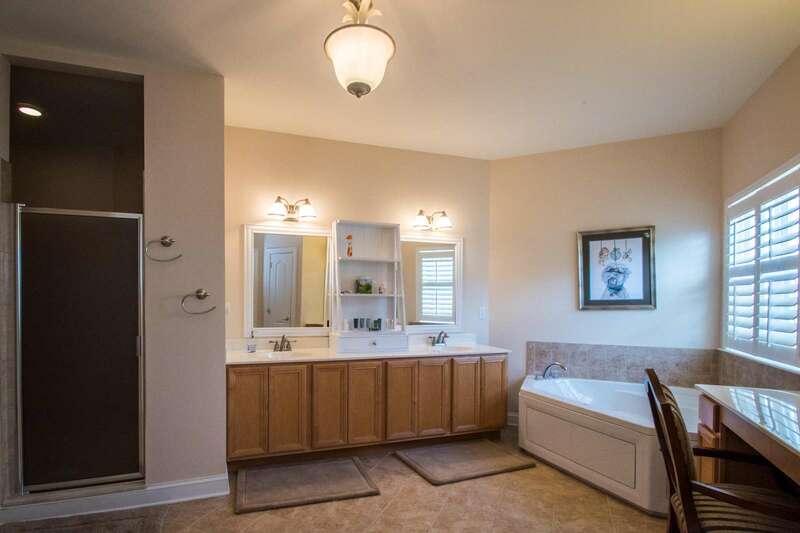 The master bedroom and huge master bath are separated from the other two bedrooms. 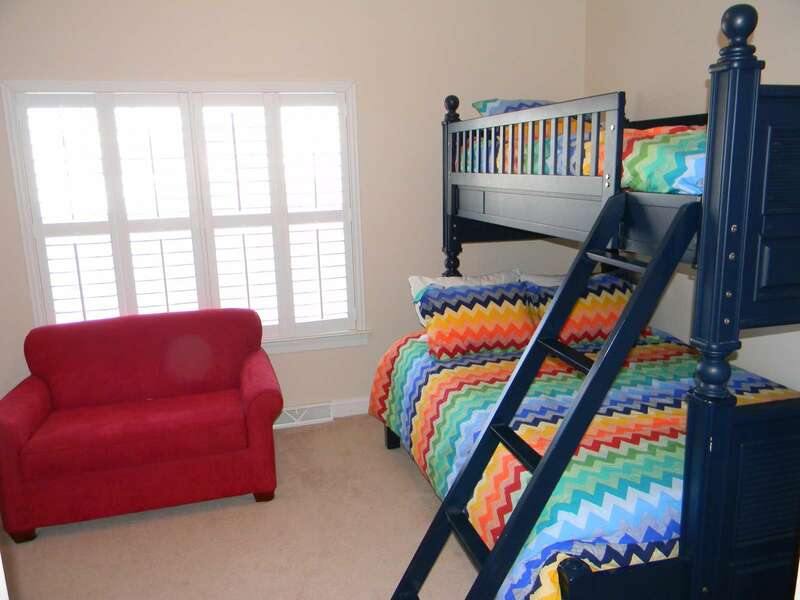 The master includes a king-sized bed, a large-screen TV, a comfy seating area, and walk-in closet. 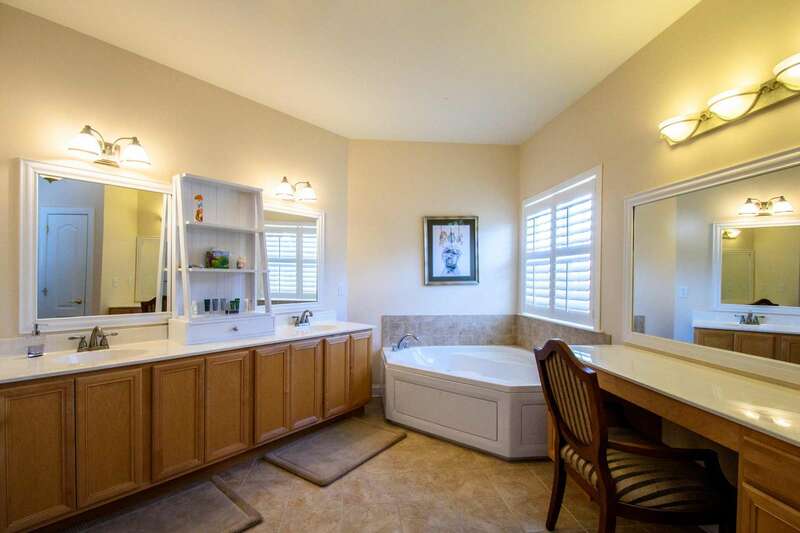 The master bath provides a soaking tub, large shower, double sinks, and a separate vanity area. 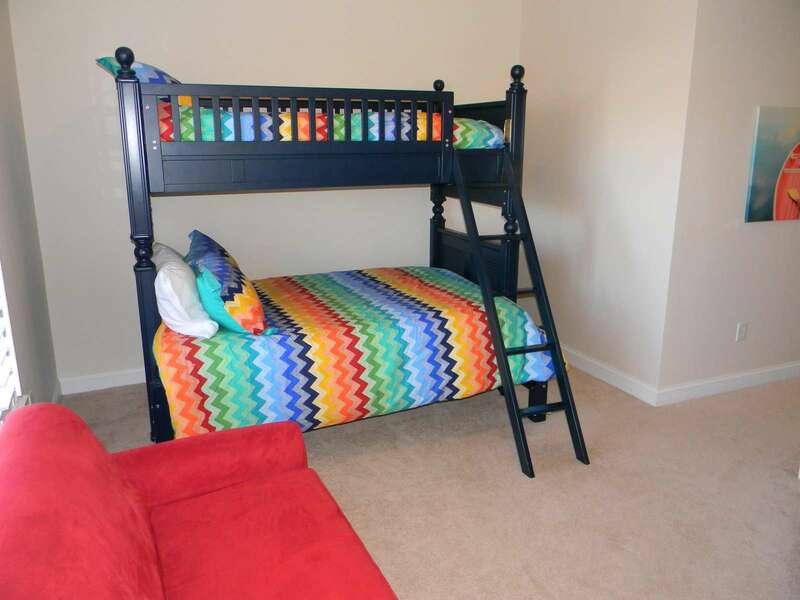 The second bedroom contains a queen-sized bed and the third bedroom, just a few steps from the second full bath (with tub), provides bunk beds (one full and one twin) and a twin-sized sleeper sofa. You will also find a sleeper sofa in the family room. 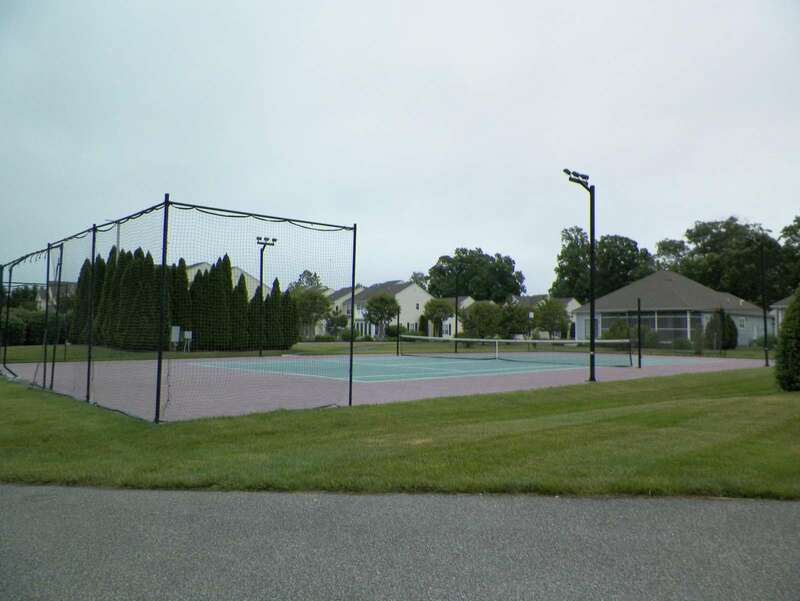 The home is located on the same cul-de-sac as the pool and tennis courts—they are just steps from the front door. Jungle Jim’s Water Park is within walking distance and the beach is a short drive away. You can also walk to the DART shuttle bus (Park-n-Ride), which, for a small fee, will take you to the beach, outlets, and other locations (runs every 15 – 20 minutes from early morning until late evening in the summer). 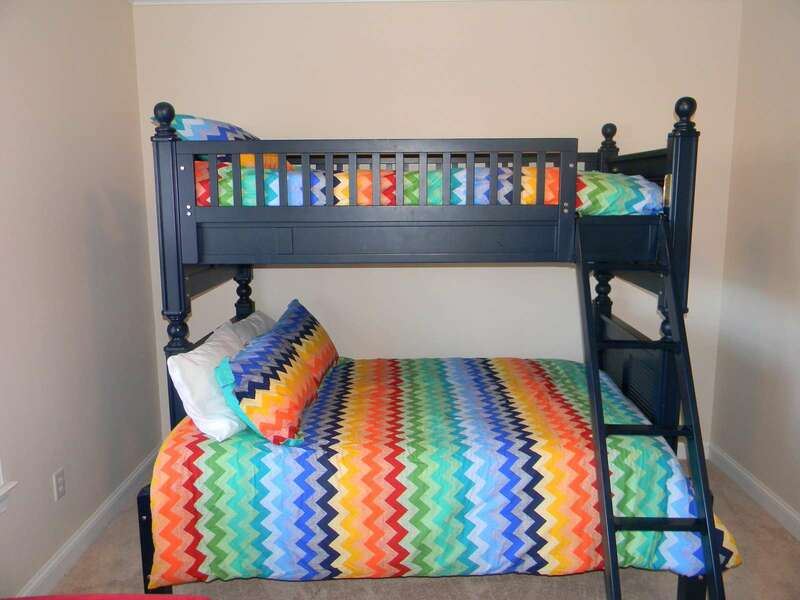 There are plenty of games, puzzles, and toys to keep you entertained inside the home. Also included are a starter supply of Kuerig coffee pods, paper products and basic toiletries. LINENS INCLUDED! 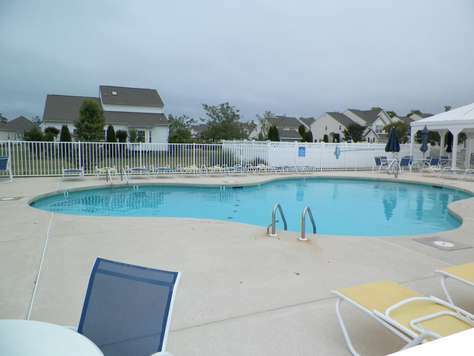 This home is a great place to spend your vacation in Rehoboth Beach! *Please note there will be a short stay fee of $100 added to your reservation if booking less than 7 nights. PLEASE NOTE: When browsing the website for availability, Firefox or Chrome is recommended for an optimal experience. This property has 1 King(s), 1 Queen(s), 1 Full(s), 3 Twin(s).